Australia Post CEO, Ahmed Fahour, has suddenly quit his position after seven years in the top job amidst intense criticism over his $5.6 million salary, even from Prime Minister Malcolm Turnbull. The shock exit comes at a time when the government-owned postal delivery service is finding its footing in the face of digital disruption. But positive signs abound as many in the organisation believe digital transformation represents an opportunity for customer-led innovation and sustainable change. Denying his resignation was in response to pressure over his generous pay packet, Fahour said the latest half year results show the organisation is successfully on the path towards business transformation and is embracing digital technologies. On the e-commerce front, Australia Post recently created a marketplace within Southeast Asia in the wake of a new agreement with e-commerce network Lazada, which is majority-owned by Alibaba. As part of the deal, Australia Post is extending its online storefronts beyond China to Malaysia, Singapore and Indonesia, which the organisation said creates a platform for Australian businesses to sell products across the region. 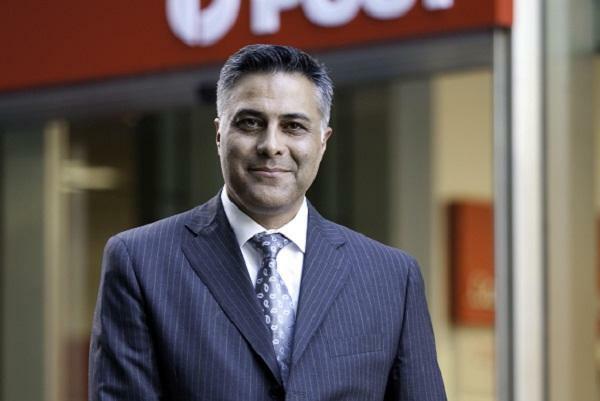 Addressing the half year results, Fahour said Australia Post has made great inroads in the area of transformation and the time was right to step away. The postal service posted a strong first-half profit of $131 million after tax in the six months to December, driven in part from strong growth in parcel volumes, and up from the $16 million for the same period in 2015. “With the business now poised to start a new transformation, I believe that it is appropriate and time for me to hand over the reins as the head of Australia Post,” he said speaking at the company's half year results at a press conference in Melbourne. He said he will continue in the role as CEO while the board conducts a search for a replacement, and formally step down in July when a successor has been appointed. "I have been in this job for seven and a half years; it's time,” he said. “CEOs have to know when to go. “My job is done - I've achieved everything I needed to achieve." Meanwhile, Australia Post board chairman, John Stanhope, said Fahour's legacy as CEO will be felt for many years to come. "By any measure, Ahmed has done an astounding job in transforming the business. When he started, he was set the challenge to 'write the next chapter in the history of Australia Post' – and he certainly rose to that challenge,” Stanhope said. "Now, with the business entering the next phase of its transformation, Ahmed's decision to resign provides opportunity for a new leader to continue the development of Australia Post into a leading international e-commerce player. "Ahmed was appointed at a time when Post was still highly dependent on revenue from the letters service, but the community's use of letters had already peaked and was in the early stages of decline. On the digital front, Stanhope said Fahour’s achievements include building the MyPost platform to enable Australians to register their delivery preferences online; and investing in and forming an international e-commerce alliance with Aramex.